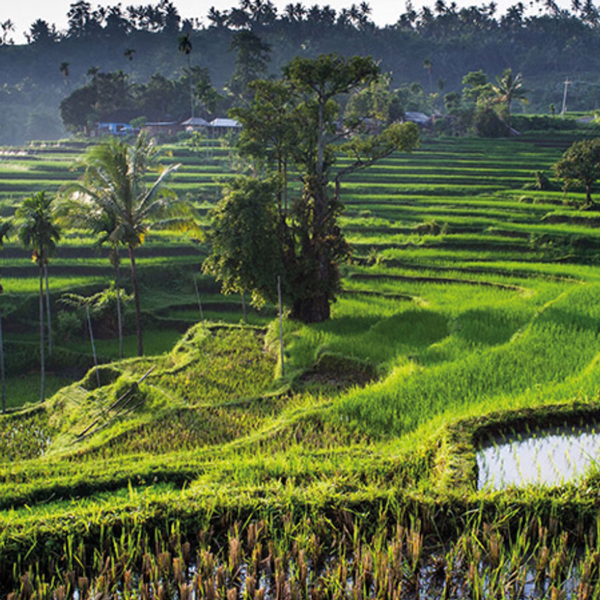 Bali is one of the smallest islands in the Indonesian archipelago, but has the greatest diversity. 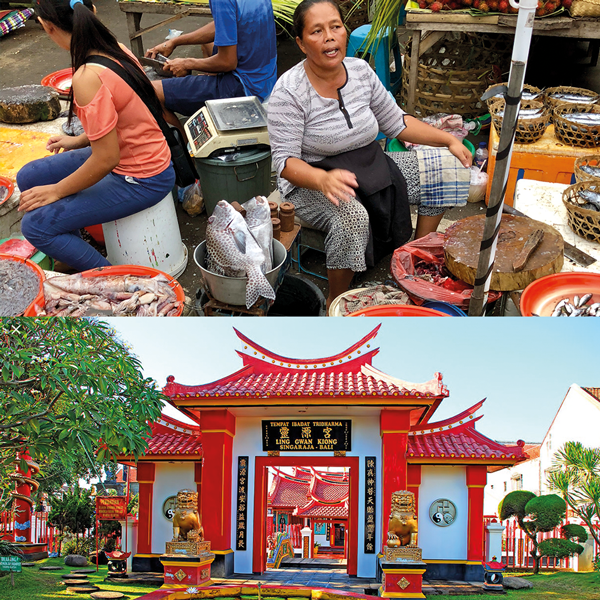 The island is 5600 km2 in size and has 3.5 million inhabitants, of which over 1 million live in Denpasar. Hinduism is the main religion (90% of the residents). In addition, you will find Islam, Buddhism and Catholicism. The island has a very diverse nature, spread over the various parts of the island. The tropical climate provides an almost constant temperature of around 28-30 degrees. The north is the driest part of the island, while in the middle a lot more rain falls because of the high mountains, whose summits often hang in the fog. In the north, the second half of January, February and March are considered the wettest period. This “rainy season” is still relatively dry with usually only a few rain showers in the afternoon or a few hours of rain per day. Bali is full of beatiful sights. Actually you travel constantly through surprising nature, ceremonies, villages, rice fields, temples. Mass tourism is concentrated in the south of the island around the towns of Kuta, Nusa Dua and Sanur. The nearest big city is Singaraja. She is 2 kilometers away from the villa. It is the former capital of Bali. Some warehouses still remind us of the time that Dutch colonials ruled here. A famous building from the city is the Gedong Kirtya library. Furthermore, an attraction is the Chinese Temple. In Singaraja you will find various facilities such as hospitals, pharmacies, banks and many markets. You can shop well and recently there also opend a large supermarket (Hardy’s) with all possible products. It is wonderful to visit the Pasar Malam in Singaraja. This market is open every evening at exactly 6 pm. (do not forget to bring your camera). The Git-Git waterfalls are the highest waterfalls in Bali at a 35 minute drive from the villa. Lying on the road from Singaraja to Denpasar. 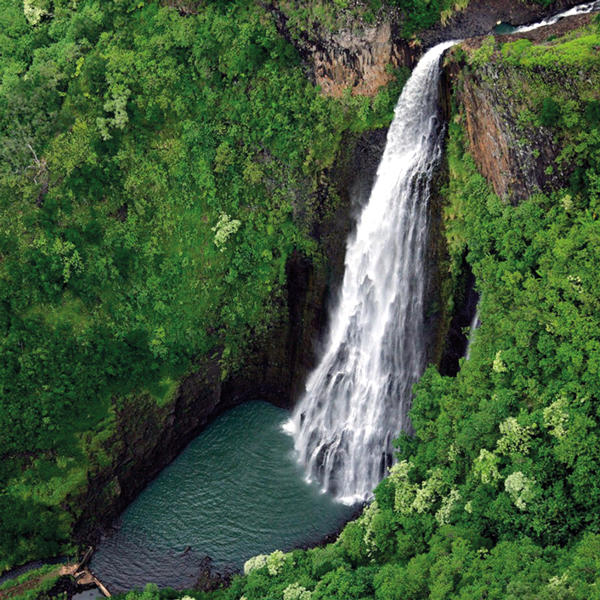 The waterfall has a height of 45 to 80 meters and is located in a tropical rainforest. At the entrance you will find all sorts of stalls with clothing, fruit, etc. 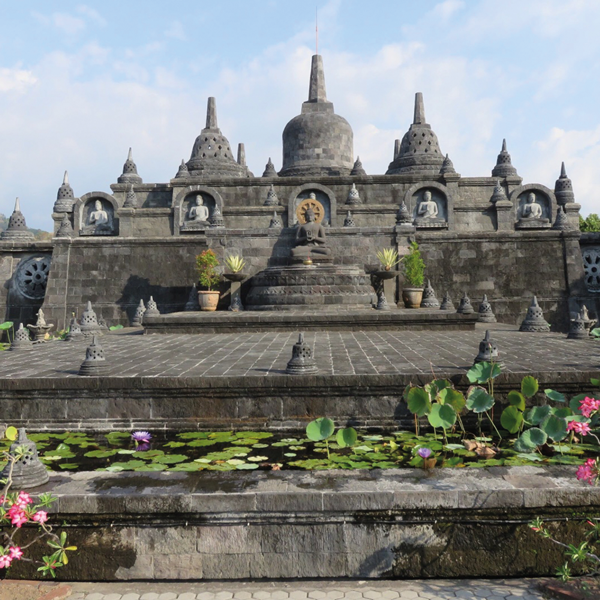 The only Buddhist monastery in Bali is a 15-minute drive away. Brahma Vihara Ashrama. The monastery has beautiful murals and is beautifully hidden in the hills. 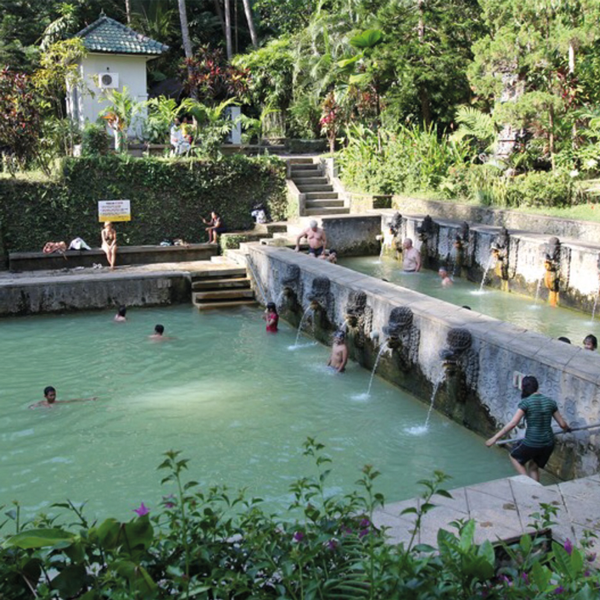 These sources are known as hot springs or Air Panas. They are close to the hills. The three baths are located in a beautiful tropical garden and contain medicinal warm water of about 35 degrees. 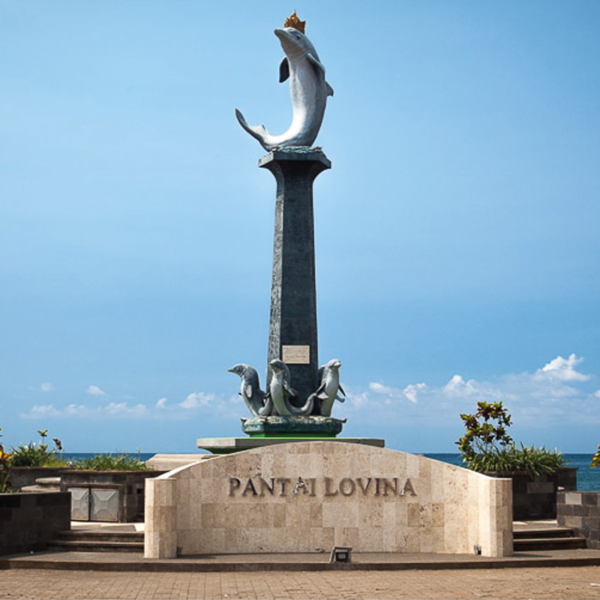 Spotting dolphins is a big attraction in Lovina. Early in the morning, at 6 o’clock, you can take to the sea with a local boat. 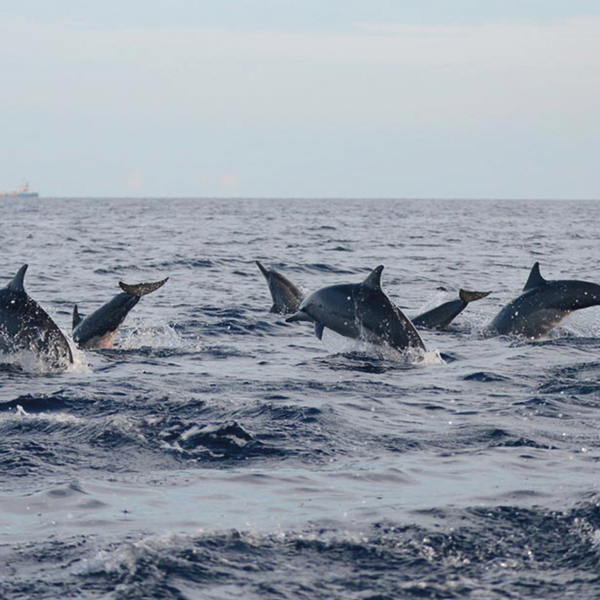 Dolphins are almost always found, sometimes dozens. The tour lasts about 2 hours. Recently you can also swim with dolphins in a basin of Melka Resort in Lovina. The opinions and experiences with this are however divided. This is the most touristic place of North Bali. You will find shops, restaurants, bars, live music, discos, cash machines. Here you can also arrange trips and rent a car or scooter. This can also be done via our helpdesk. It is a lively place with many fishing boats. Lovina is 5 km from the villa. There are beautiful rice fields in the vicinity of the villa. Opposite the villa are small reefs where there is much to see. 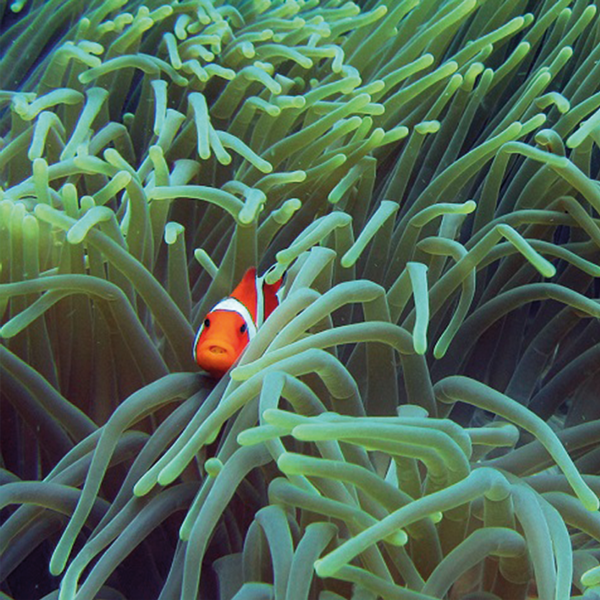 It is an ideal place to easily discover the underwater world of Bali. A 45-minute drive to the west is Menjangan Island, a nature reserve with large reefs, an enormous diversity of fish and coral and diving schools. Snorkeling and diving can be arranged from the villa through our helpdesk. Both on the left and right of the villa there are still traditional fishing villages at a short distance. They have colorfully cut from trees with beautifully painted boats. These fishing villages still live quite traditionally and consist entirely of fishing. Seririt lies to the west of Pemaron. It is an authentic regional market place where you can go for fresh regional products. There is also the possibility to do various trekkings. We work together with Bali out Back. 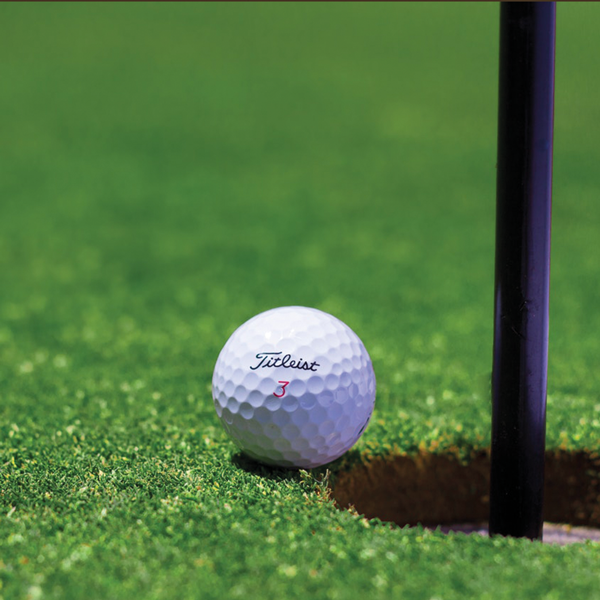 If you want to play golf, you can do so at the Handara Koseido Golf and Country club. One of the 18-hole top-5 jobs in Asia. The domain is 1 hour away and is located in the mountains at 1000 meters altitude at the place Bedugul. Because of the altitude the temperature here is moderate, making it pleasant to play golf. Bedugul is also a regional center with a pasar for fruit, vegetables and flowers. Bedugul is definitely a place to visit. A beautiful Pasar with a lot of fruit and vegetables and souvenirs and then the Bratanmeer by the local people called “the holy lake”. 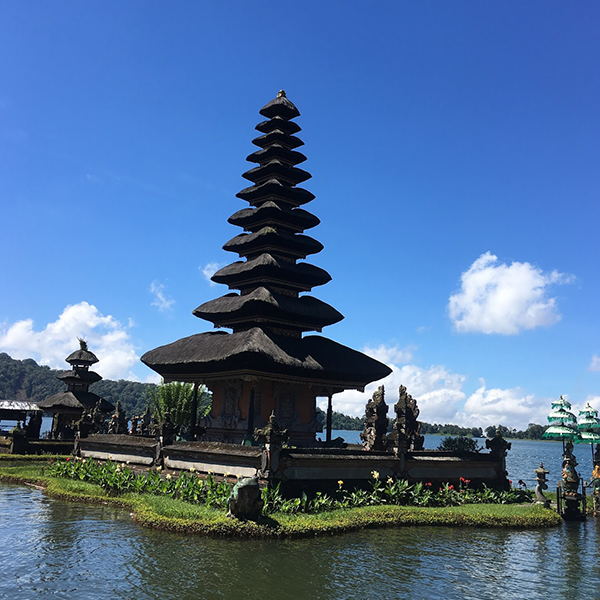 Halfway through this lake you will also find the Pura Ulun Danu Temple. Here Dewi Danu is worshiped, the goddess of lakes and rivers. Near Bedugul in the town of Candi Kuning you will find a 130-hectare botanical garden, where you can get a good impression of the lush tropical mountain flora. You will find numerous wild orchids, including very rare species. 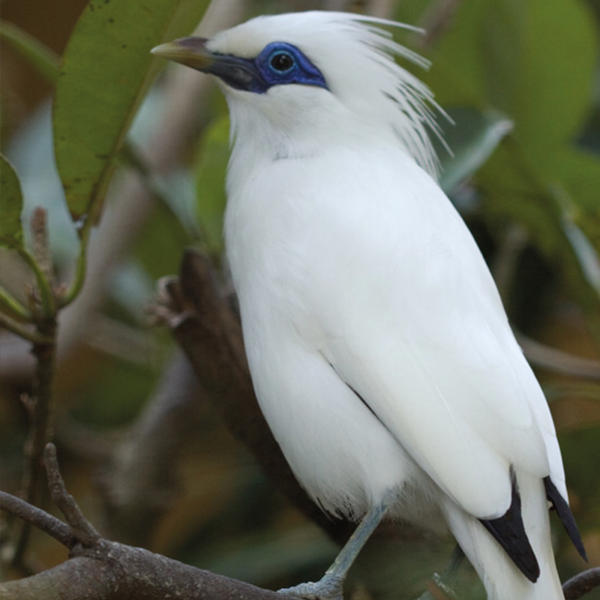 In the tropical jungle there is a large national park where you can admire many birds (photo, Bali Starling), iguanas and other inhabitants of the tropics. Via Bali Vakantie verhuur, you receive, on request, various vouchers, which entitle you to a discount of 10% on the activity or a 10% discount on your dinner.